The U.S. Forest Service is defending its round up of wild horses in California. "We put a lot of work into looking into the damage, and when you have far too many animals than the land can carry, it results in the native plants being eliminated and [non-native] plants coming into the preserved area. That’s a significant change in the ecosystem," Laurence Crabtree, the acting forest supervisor for the Modac National Forest, told ABC News. "The horses coming into the corrals [that we’re rounding up] are not in great shape. They’re showing signs of not enough food for them." "Horses that can’t be placed through adoption, or can’t be sold with limitations will be made available for sale without limitation after a 30-day period. … There are no stipulations on the buyer in an unlimited sale," according to a Forest Service statement provided to ABC News. 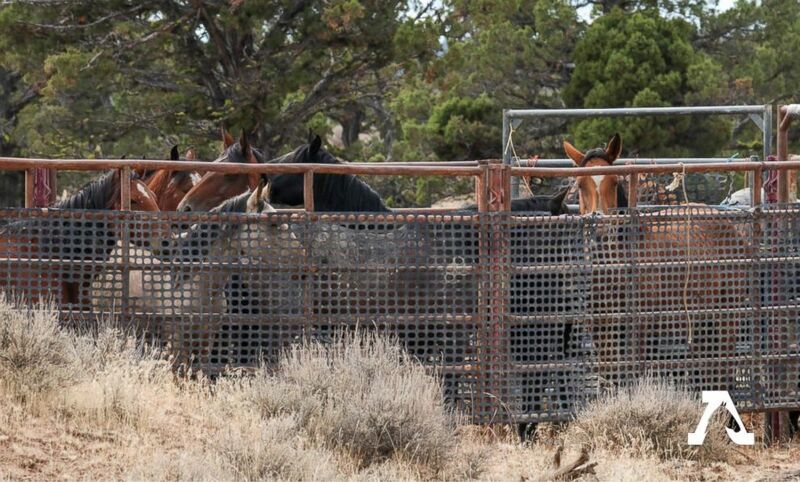 (American Wild Horse Campaign) Wild horses from the Modac National Forest are seen in the U.S. Forest Service's new holding corrals after being rounded up on Wednesday. The Forest Service hopes to decrease the population by adopting out these horses, but animal activists are criticizing the move and insist many of these wild animals will end up in slaughterhouses. "When [the Forest Service] talks about environmental damage, they don’t mention one word about cattle. 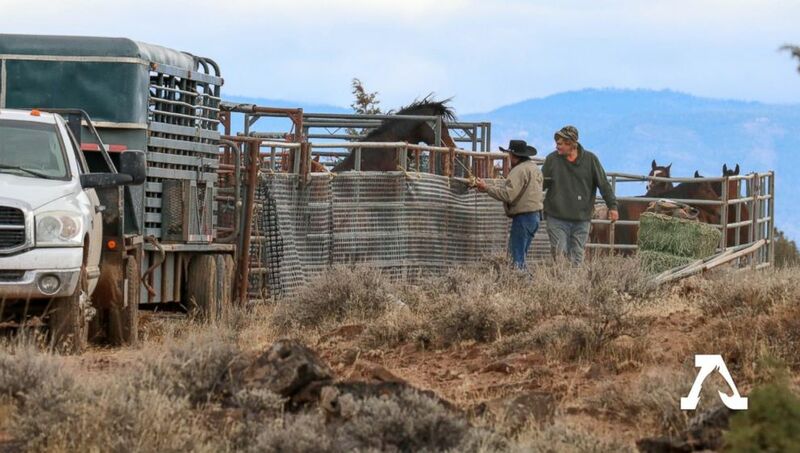 The reality is they’re removing 1,000 horses from two grazing allotments, where ranchers hold permits to graze their private livestock on public lands," Roy told ABC News. "We think it’s wrong to round up and remove 1,000 federally protected wild horses," so that private cattle can use these public lands, Roy said . The Forest Service maintains that despite the "challenging situation," it’s doing everything it can to ensure every single horse is adopted. (American Wild Horse Campaign) A helicopter contracted by the U.S. Forest Service is seen flying while rounding up wild horses from the Modac National Forest on Wednesday. The Forest Service hopes to decrease the population by adopting out these horses, but animal activists are criticizing the move and insist many of these wild animals will end up in slaughterhouses. "You’re literally just flooding the market for adoption and you’re just not going to find good homes for all these horses." Roy said. "I mean, that’s a lot of land… so there’s some practicality issues involved," Crabtree said. "We still have too many horses… so the plan is once a year," to conduct drives like this, said Crabtree. "We will stick with this plan until we can get these horses down to the level the land can sustain."